We like to sell our horses while they still have value and maybe even for a profit..
Horses previously owned by the Let's Be Lucky Partnership. Newstead Abbey was puchased at the 2012 Newmarket October sales for just 15,000 ginneas. In 4 years he won 4 races for us over 7 furlongs and a mile and was placed a further 5 times, earning the synicate more than £80,000 in prizemoney. Play Nicely was purchased in April 2015 for just 4,500 ginneas. After a nice holiday he went on to win 3 races on the sand at Southwell and 1 on the turf at Beverley. He won races from 7 furlongs up to a mile and a half. He was also placed a further two times. Earned over £25,000 in prizemoney for our shareholders and then was sold at the Newmarket October 2016 sales for 22,000 ginneas. 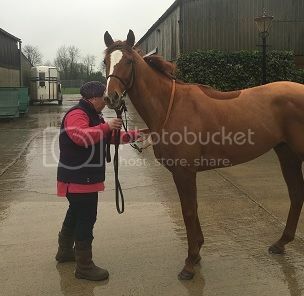 Red Tycoon was bought at the October 2014 Newmarket sales. He won 2 races at Ayr & Redcar over 6 furlongs and was also placed a further 5 times. Earning the partnership over £16,000 in prizemoney. Napoleon Solo was purchased for 5500 ginneas and trained for the end of the flat season in 2016. 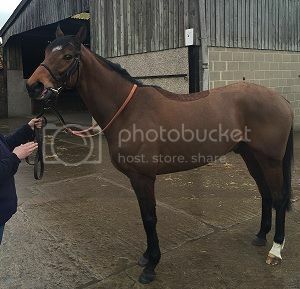 He started well, coming 3rd at Catterick and 2nd at Musselburgh in his first few starts. He then ran a great race to come 2nd at Newcastle and finally got his maiden win at Southwell. Although he didn't quite turn out as good as we had hoped, he definitely provided a few fun days at the racing for our shareholders. 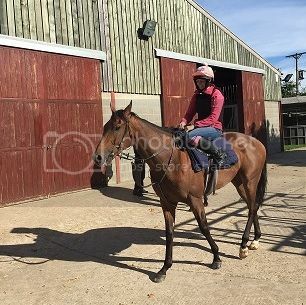 Autumn Tonic was puchased for 3000gns and trained for the sand season in the winter of 2016/17. Although it took him a couple runs to get fit and for us to work out the right tactics needed for him. He ended up running a few big races at Southwell. Coming 5th twice, then 2nd and finally getting his win at a nice price.